Topmounted, non-flexing freerideboard with gaspedals. Latemodel! Release mid May 2011! is it comming more pictures soon? We will hopefully have a photoshoot featuring this board next week (May 16-20). The board is cut down a little bit on the tail sides (your back foot) of the board. This makes it easier to put more pressure on the side of the board. Love the boards, sick line up you have. check me page out www,greenwareboarding.com. Stuff coming soon! Tja jag tänkte skaffa mig denna bräda och tänkte fråga om det behövs risers med bear 852 och 70 mm hjul? Och passar den här för en kille på 182 och väger 80 kg? You should probably use thin (1/8 -1/4) risers on that setup if you use the stock “out of the box” bushings, but as always things like these depend on how you ride and fine tune your trucks. vilka av era brädor är bäst för downhill mellan the DFA, the twin eller the lowrider? For experienced, confident riders, The DFA – Hands down! Okej, sista frågan nu innan jag beställer den, räcker en 1,25″ skruv om jag använder en 1/8 riser? Joel, yes, 1.25″ hardware will be enough for a 1/8″ riser. For bigger risers you might want longer hardware though! jag har nu åkt på brädan och är riktigt nöjd med den, men jag har nu skaffat venom barrels 93a boardside och 90a roadside och har kommit fram till att jag inte får wheelbite om jag tar bort mina risers på den, fast tror ni att jag kan få pressure cracks om jag tar bort dom? för jag åker mest downhill på den och håller inte på med early grabs och sånt. Glad to hear that you like the board! Pressure cracks are always a possibility, but they are normally nothing to be concerned about and should not affect your ride. Try super thin shock pads if you are worried though! Niklas, This board is stiff and it’s pretty heavy. It’s made to be stable at higher speeds. 156cm / 57kg will work for this board. But as always if you can try it before that’s the easiest way to decide if you like it or not. Many of our dealers have the DFA in stock. And if not, they can order it from us. Check out the list of Swedish dealers http://www.slipstreamlongboards.com/?page_id=692 and contact the one closest to you! 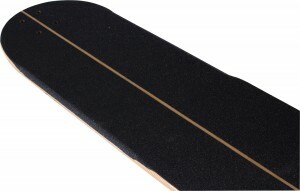 Do you guys still sell this board, i mean as a whole, with trucks and wheels? I’ve tried to buy it from longboard shops and private sellers and they were all sold out! All they offered me the DFA 2012 version but i fancy the 2011 more, so. Yes we have it in stock! We send you an email to see if we can work anything out with some norwegian shops. Thank You! The DFA 2011 is just a beaut! I just love how it´s formed and made! I would sleep with it if i had it, haha.